Italian Prime Minister Mario Monti was the first politician to express his shock at the pope's unexpected resignation. 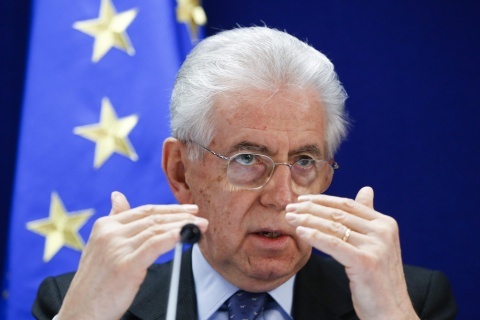 "I'm greatly shaken by this unexpected news," Mario Monti said, as cited by La Stampa website. He told reporters he can't yet comment further. Benedict, the 265th pope, is the sixth German to serve as pope and the first since the 11th century. He became pope in 2005. He has led church after the third-longest papacy in church history and during a time in which the church is declining in his native Europe but expanding in Africa and Latin America. Benedict's time as pope has been marked with a series of scandals and controversies, including hundreds of new allegations of sexual abuse by priests. The last pope to resign was Gregory XII in 1415. He did so to end a civil war within the church in which more than one man claimed to be pope.